ceiling fan life Life is like a Ceiling Fan! The basic difference between Humans and animals is that as humans we are hedged by feelings and emotions. It's these emotions that at times controls us. Yes, they are a highly powerful elements that can even control the human heart. Science perceives the human heart as just another vital organ that pumps purified blood to the other organs but this heart is a beating monster. Ever fallen in love? You will know how crucial the role of a heart is when it comes to expressing and showing love for someone who is close to us. It is a beating monster that not just pumps blood but also pumps emotions and controls it. And that's why it is an important organ. The heart has a reason that reason knows nothing of! In 2010, when I was posted in New Delhi, I had turned reclusive. It was a difficult phase of life. The office was something that made me happy and I turned into a workaholic. Weekends are bliss for people who live with their friends and family but for someone sequestered, life indeed seems miserable. That was the time I decided to overcome the boredom by writing a story that would eventually be a part of my first book. It was the story of an Afghanistani girl. We have been reading a lot about the atrocities faced by women in the Taliban regime. I had something in mind to connect those atrocities and India. I had plans of creating a connect between the Afghan girl and the Indian culture. That was something that helped me to overcome the difficulties in life during that phase. I created and worked on imaginary characters for my story. I had done with Ten Thousand words but soon Delhi started embracing me. I had become gregarious and by then the dream of writing a book faded away. Such a selfish me! I was highly creative then. That phase of my life taught me something that I will never forget. Difficult days may come and go and difficulties will be a part of life. However difficult life may turn out to be, it will give you ways to overcome it. It is like God may close all the doors for you but he keeps one door open for you. It's a challenge to find out that door. For some, it may turn out to be an invisible door and that's when they give up. While writing this story of Zarafshan, the Afghan girl, I derived some inspiration from the ceiling fan. I had written something about this on my diary way back in 2011. Here is an excerpt from that story. "Oh my! Now this is getting crazier," I placed the bag on the kitchen slab. I washed my hands with soap. I looked outside the window see if the weather settled back to normal. It had turned even darker. The afternoon sky resembled night. Only the Moon and the stars were missing. I had nothing constructive to do. Disappointed with the weather, I lay on the bed looking at the slow movement of the fan. The fan regulator was located next to my bed and hence I could easily access it while lying. I controlled the speed using the regulator. I initially increased it to the maximum speed. 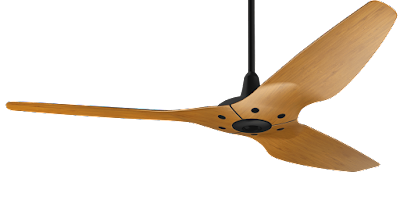 The blades of the ceiling fan moved violently at a faster speed. I reduced the velocity and observed that there was a drastic reduction in the speed and hence it circulated less wind. Life is like a ceiling fan. Its blades represent the sadness that encompasses our life. We should regulate the worries and sadness in our life by reducing or controlling it. Life is too short and we cannot afford to fret about it. I felt a sudden cold breeze gushing through the window. It was comforting and appeasing. It drizzled that afternoon. That was the time I realized that the news reporter was right.It rained! Life is indeed like a ceiling fan. It teaches us great lessons. Sometimes, things around us teach us valuable lessons. It becomes obvious to learn from everything that teaches us. That's life! It teaches us through many ways and through various mediums. We all have that regulator in our life similar to the regulator of the fan that controls us. It's with us. We can control it! We can regulate our sorrows. So turn the regulator left for reducing the sorrow and turn into right for increasing the joy! Yes now don't ask me where is it. It's our heart! Beating Monster, Remember?